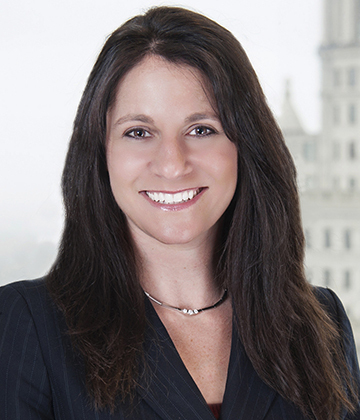 Hillel International President and CEO Eric Fingerhut announced Wednesday the appointment of Tracy Turoff, pictured, as the organization's first general legal counsel. Credit: Hillel International. (JNS.org) Hillel International President and CEO Eric Fingerhut on Wednesday announced the appointment of Tracy Turoff as the organization's first general legal counsel. Turoff will advise the Hillel umbrella organization, its campus affiliations, and its external partnerships on all legal and compliance issues. Hillel's work spans 550 organizations across five continents. “It’s a combination of three things: she’s very smart, she has tremendous people skills and just knows how to work with people, and finally, and most important, is her strong sense of Jewish identity. Her Jewish identity leads her to be a positive force in the world," said Fingerhut, the president and CEO of Hillel International, according to the Cleveland Jewish News. After graduating from Case Western Reserve University, Turoff went on to receive a law degree from the Cleveland-Marshall College of Law. During her legal career, she was elected as an American Marshall Memorial Fellow and an Alliance of Civilizations International Fellow. Her positions had sent her to work with government as well as business and community leaders in Europe, the Middle East, and North Africa. She later worked as an attorney for the law firm of Taft, Stettinius and Hollister. Twenty years ago, Turoff had worked alongside Fingerhut as a legislative aide in Washington, DC, when he represented Ohio’s 19th congressional district. “Hillel is such a meaningful organization. A really big draw was getting to work with Eric Fingerhut again,” said Turoff, who serves on the Cleveland Jewish News board of irectors. “He’s really an inspiring person. He always approaches everything with a sense of vision and intelligence. He is very altruistic in his goals and really a true leader."